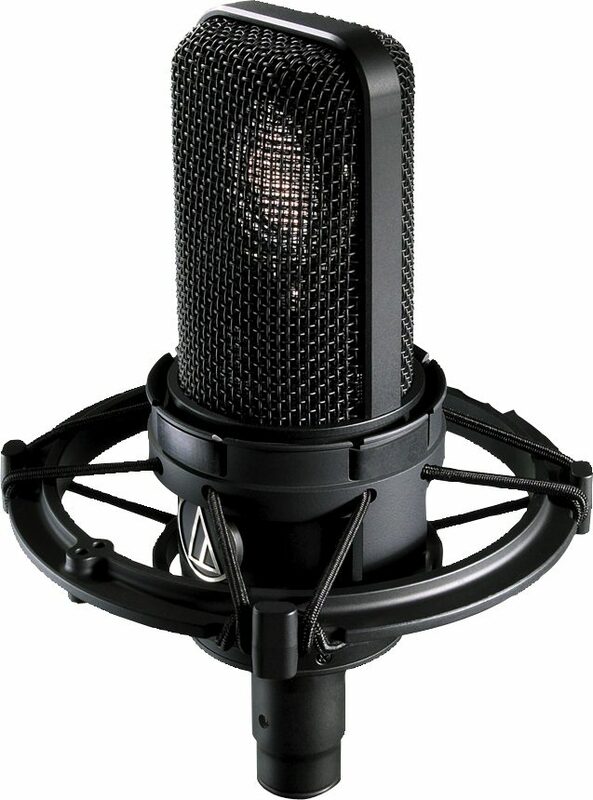 The Audio-Technica AT4040 cardioid condenser microphone is a solid all-around tool to help you record a myriad of instruments in multitudes of scenarios. Known for its transparency, the AT4040 works wonders in the studio as well as in live performance settings. With a wide, smooth frequency response and super-fast transient response, you'll be able to track acoustic guitars, percussion, voiceover sessions, vocals, strings, guitar cabinets, and countless other instruments with ease. This microphone comes with a shock mount, a dust cover, and a secure carry case. Every audio engineer loves having a flexible large-diaphragm condenser microphone that can get the job done in a variety of situations. Your Audio-Technica AT4040 utilizes low-noise transformerless circuitry that minimizes low-frequency distortion and provides a seamless audio capture of high-speed transients -- a plus for recording drums or other percussion instruments. This multifaceted condenser mic features a precision-machined nickel-plated brass element baffle to reinforce element stability and ensure a seamless capture of whatever source you're tracking. With the -10 dB pad engaged, you have a maximum SPL of 155 dB for grabbing louder instruments without distortion. A wide frequency response of 20 Hz to 20 kHz with a high-pass filter switch at 80 Hz will help you get a rich recording without picking up any unwanted low-end mud. This mic is a great tool to begin with if you're only starting to build up your arsenal of recording gear. Even if it's your only mic, you'll find it goes a long way in consistently delivering on demand. 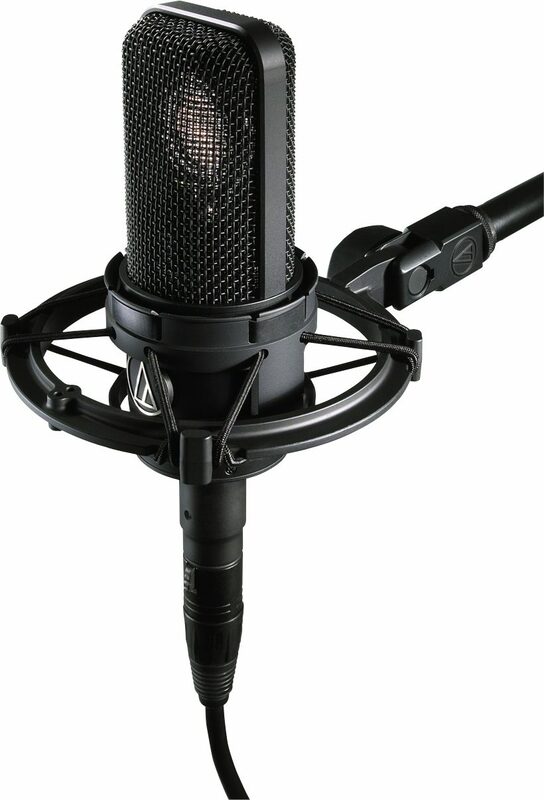 Accessories include an AT8449 shock mount, a dust cover, and carry case, so you can get recording right away and see how just this one mic can enhance your tracking sessions. - Maximum Input Sound Level: 145 dB SPL, 1 kHz at 1% T.H.D. "This is a super deal on a quality Microphone from Audio Technica!!" Sound: the best,it's as good as my akg and neumann(if not better on everything) Feature: it's got a high pass filter and a 10db attenuator! it's strictly cardiod. Quality: built solidly! sounds super with my Blue Robbie Preamp!! Manufacturer Support: nice folks! The Wow Factor: I'm buying one !! This review has been selected by our experts as particularly helpful. "THIS IS A GREAT AT SERIES MIC FROM AUDIO TECHNICA !!" Sound: this is super vocal and acoustic guitar mic.it has a full sound.airy highs natural mids and beautiful full lows. It's basically an improved at4033-has better specs!!! Feature: has a 10 db attenuator and 80 hz high pass. Quality: top notch quality in the at4040. I'll compare this mic to anything out there costing alot more. This mic is made in JAPAN. We all know that quality is what comes out of there- from cars to you name it!! Value: a great value.it is a Japanese built product.No wonder it's terrific.the 2 I bought sound like a matched pair !! Manufacturer Support: they're real helpful.I had a question on getting some extra mic mounts and they were great! The Wow Factor: i own 2 of them. Overall: this mic sounds as good as mics that are alot more in price. I compared it to the Blue Blueberry,the Neumann tlm103, and the Rode NTK. In my opinion it outperforms them all on vocals-and is as good on acoustic guitar.